If you read the latest data from the Pew Research Center, you might think the Christian religion is dying in America. Christianity is not dying, but it is transforming. Maybe that is a good thing. Somewhere along the way, we lost our sense of purpose. Church turned into churchianity and we started to focus on the church experience—entertainment. People are still hungry for answers in life—maybe more than ever—and religion has focused, instead, on giving a good show. We should go to church. We should participate in ministry, plug in, and serve. So, what’s the problem? Too many people never get out of the kiddie pool of faith. We define ourselves by our tribes. We’re Methodists, Baptists, Catholics, etc. 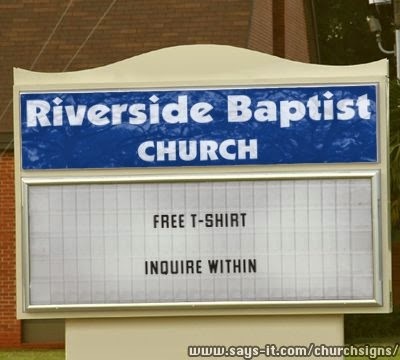 We wear shirts with Christian slogans on them. We listen to sanitized music. We have Starbucks in the lobby. We have a rock band. Welcome to the show. Have a doughnut. No wonder people are leaving. We don’t know how to talk about faith or purpose. We’ve created a club where anyone can join but no one can participate.The evil evangelists and the angry atheists cheer for our demise because we’ve disconnected from reality. We’ve created a brand that is not appealing. It’s comfortable in the shallow water. I wondered about that quote from Pastor Robin. After nine years we know very few non-Christians. Somewhere along the way we forgot how to talk to people. Nine years. It probably happens a lot faster than that. Think about that quote for a minute. Bonhoeffer could have taken the easier path. He was executed by the nazis near the end of WWII. He died from hanging two weeks before allied troops liberated the camp where he was imprisoned. He could have hidden in the church. But church is not a hiding place from the world, it’s a training ground for dealing with the world properly. It’s a hospital for the spiritually sick. We are all spiritually ill.
Bonhoeffer went back to Germany and gave his life ministering to others. Faith was more than a t-shirt and a contrived fill in the blank small group lesson. Church was a verb to Bonhoeffer. A while back, someone asked me to help them make a list of sad songs. To me, one of the saddest songs ever is Eleanor Rigby by the Beatles—not that the “always listen to worship music” crowd would know it. Eleanor, in the song, strikes me as someone who lived her life in a “holy huddle.” She is shown working in the church and dying in the church. Eleanor wore a mask, not a literal mask, just like so many other Christians. She put on a face for others to see. She was always at the church but no one really ever knew her. She died cut off from the world. No one was saved. How could they be? Eleanor was a fictional character in a song—not a worship song—but she was just like most Christians I know. She lived her life in a dream world that meant nothing. Christianity has meaning and, perhaps, people are leaving the faith because we have stripped it down to slogans and bad advice. People will always seek meaning and truth in life. If we are going to grow, we’ve got to learn to address the real desires of the heart.